A review on the polls placed on VanderbiltCupRaces.com. 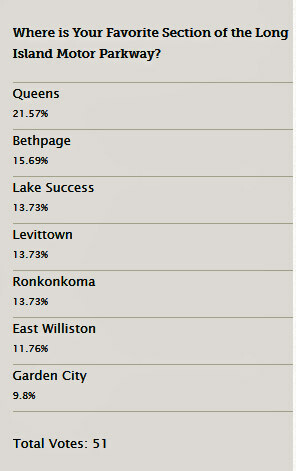 Poll #18: Which Downtown in Suffolk County is most fun to explore? 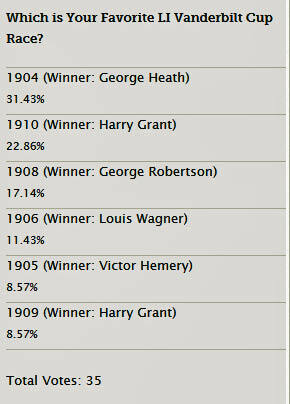 Answer: Port Jefferson was the winner (31%), followed by Huntington (24% and Northport (12%). 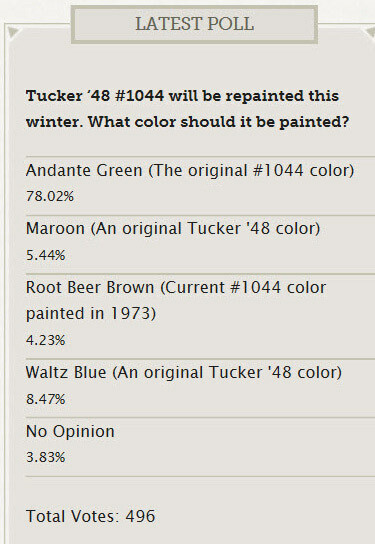 Poll #17: What color should Tucker 1044 be painted? Answer: The original Andante Green was the clear winner (78%) followed by Waltz Green (8%), Maroon (5%) and Root Beer Brown (4%). Poll #16: What is you favorite Halloween candy? 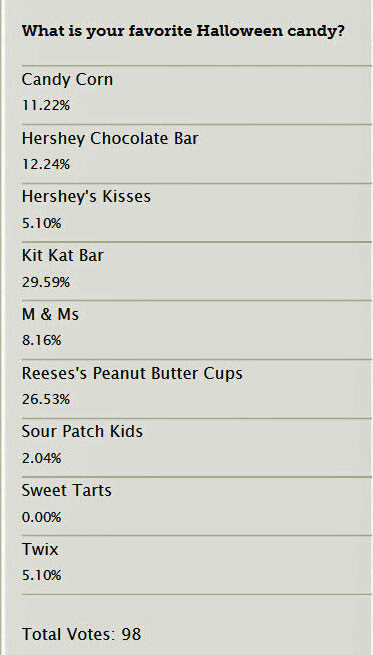 Answers: Kit Kat Bar (30%) followed by Reeses' Peanut Butter Cups. 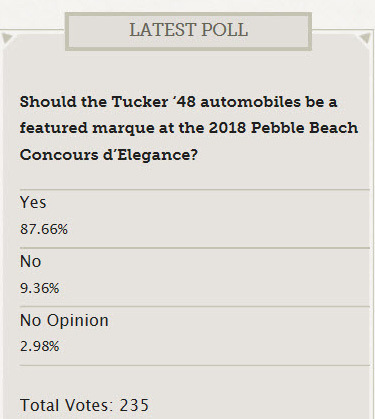 Poll #15: Should the Tucker '48 automobiles be a featured marque at the 2018 Pebble Beach Concours d'Elegance? 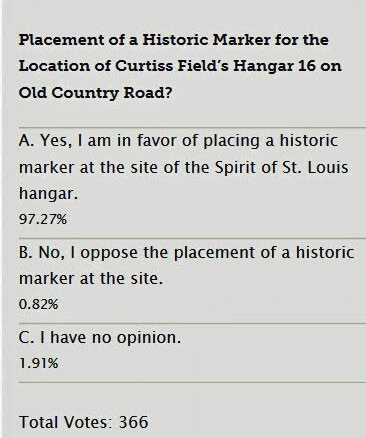 Poll #14: Placement of a historic marker for the location of Curtiss Field's Hangar 16 on Old Country Road? 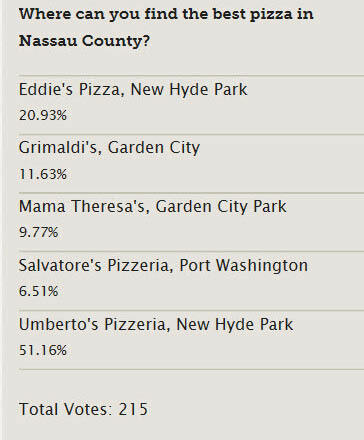 Poll #13: Where can you find the best pizza in Nassau County? 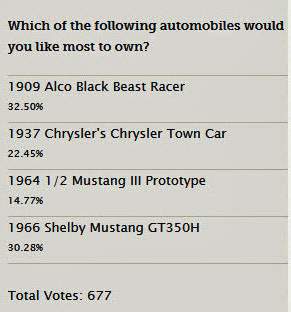 Poll #12: Which of the following automobiles would you like to own? 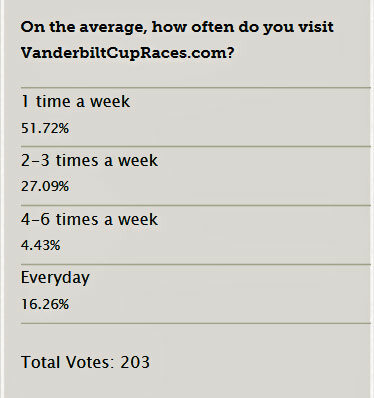 Poll#11: On the average, how often do you visit VanderbiltCupRaces.com? 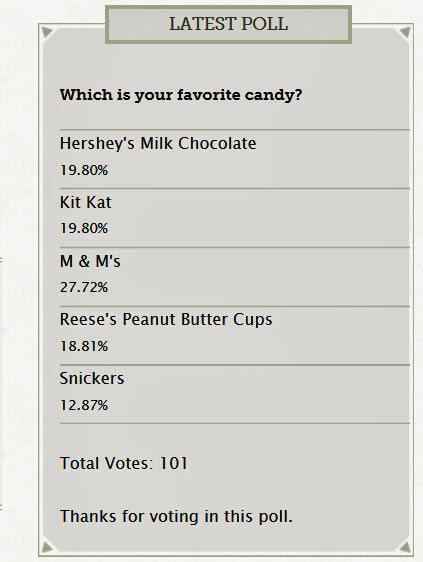 Poll #10: Which is your favorite candy? 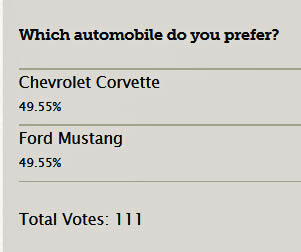 Poll #9: Which automobile do you prefer? 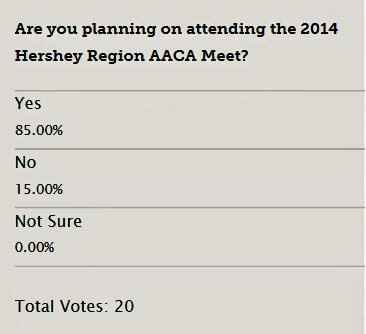 Poll #8: Are you planning on attending the 2014 Hershey Region AACA Meet? 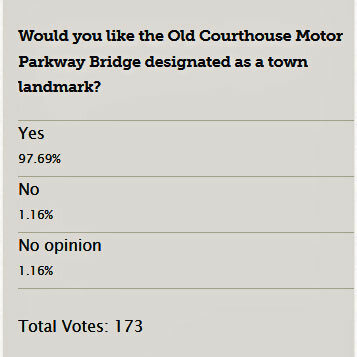 Poll #7: Would you like the Old Courthouse Motor Parkway Bridge designated as a town landmark? 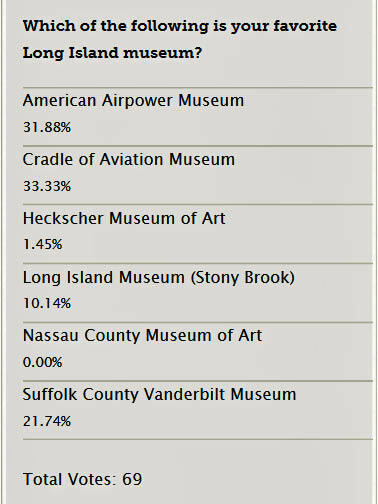 Poll #6: Which of the following is your favorite Long Island Museum? 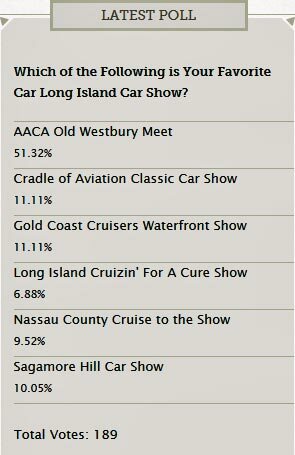 Poll #5: Which of the following is your favorite Long Island car show? 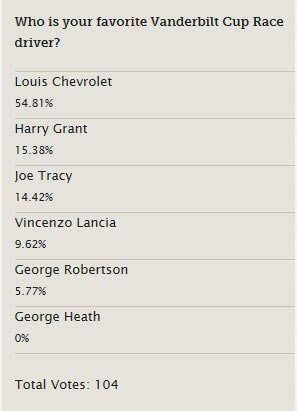 Poll #4: Who is your favorite Vanderbilt Cup Race driver? 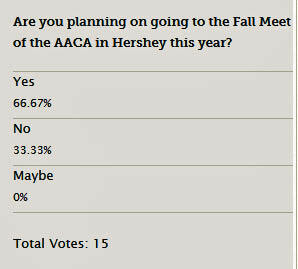 Poll #3: Are you planning to go to the Fall Meet of the AACA in Hershey this year? Poll #2: Which is your favorite LI Vanderbilt Cup Race? I am glad to see that Old Westbury Gardens is the winner, as Chief Judge last year I can tell you It’s a lot of work and I am glad to see it appreciated by fellow car owners.We had over 500 cars hope to see the Chrysler there next year. Artie. The Old Court house Bridge should be a definite landmark, as well as that stretch of the parkway . Artie. Artie, I am disappointed that old Westbury car meet is schedule the same time as the Greenwich Concours d’Elegance meet, both good car meets but I prefer the Greenwich, try to leave Greenwich early enough for a stopover at Old Westbury on my way back home to L.I. but some of the of vehicles are on there way out. PLEASE RESCHEDULE FOR FUTURE EVENTS, So I can enjoy both events at a leisurely pace. I have no opinion about the marker, but I do have a boyhood recollection of “knowing” that it was George Robertson who drove “Lindy” to the airport that morning.